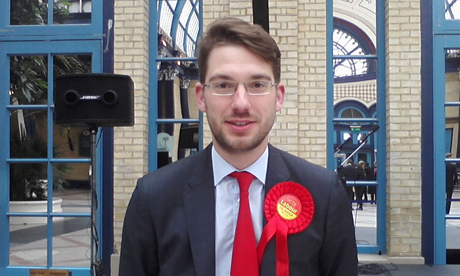 Ben Hayhurst has been elected as Labour coucillor for Hackney Central ward in yesterday’s byelection, securing a substantial majority of the vote. A total of 2,438, or 68.23%, of voters cast their ballot for Mr Hayhurst, who is a barrister specialising in human rights cases. The Green party candidate Mustafa Korel came in second with 545 votes or 15.25%. ‘Hackney Heroine’ Pauline Pearce, candidate for the Liberal Democrats, placed third with 394 votes (11.03%), whilst Conservative party candidate Andrew Boff received 196 votes (5.49%). Mr Hayhurst told the Hackney Citizen he was “delighted” by the result, and said he was looking forward to his work as councillor for Hackney Central. He said he will work on “improving youth provision” and “putting five million pounds towards redesigning Hackney” with the help of businesses, shopkeepers and residents. He also pledged to “stand up for people in terms of housing” and ensure landlords honour their agreements. “We’ve had cuts from Tories and Lib Dems imposed on Hackney from above,” said Mr Hayhurst, and he believes his “positive, issues-based” campaign to address this won the confidence of voters in Hackney Central. The new councillor said he spoke to over 50% of residents by knocking on doors, and is “keen to listen to what matters to people” when he starts his work. Mr Hayhurst thanked all the people who voted for him, and everyone who voted in this election, which had a turnout of 41.45%. The results were announced in Alexandra Palace at midday today (Friday 4 May), after being delayed by an overnight power cut.